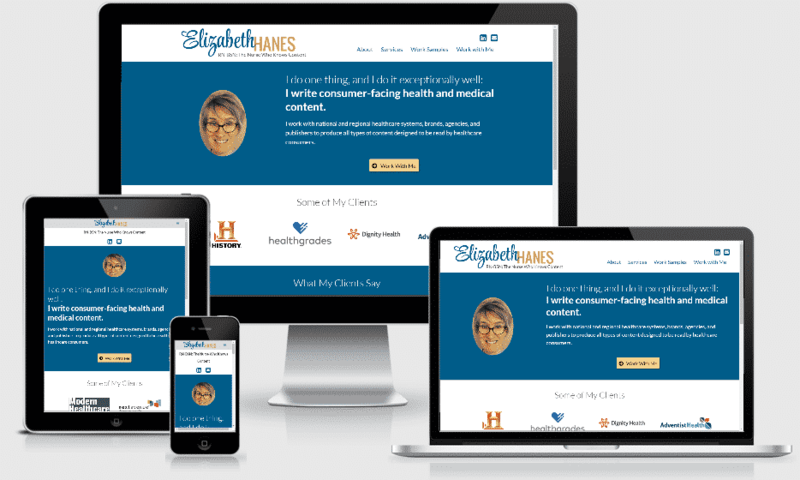 We are excited to announce a new website for Elizabeth Hanes, The Nurse Who Knows Content. Elizabeth is a nurse turned medical copywriter who has written articles for a slew of clients, featuring but not limited to, history.com, healthgrades.com, dignityhealth.org, and advenisthealth.org. Not only has she written for large websites she authored the Online News Association award winning essay series “Dad Has Dementia.” This series went on to win the “best commentary/blogging” category award for Caring.com. Elizabeth was also the only freelance health writer selected to participate in a panel at Content Marketing World 2016 on how to find, recruit and retain elite freelance writers. We were confronted with the challenge to give her a content driven website that works as hard as she does. We faced this challenge by bringing her content to the forefront showcasing Elizabeth’s accomplishments and the way she has helped her clients. She has a wide range of service offerings that we clearly defined to help any potential client find exactly the information they’re looking for on the site. This, combined with the new 2-click or less navigation and the site’s mobile responsiveness should streamline any user’s experience on the website. 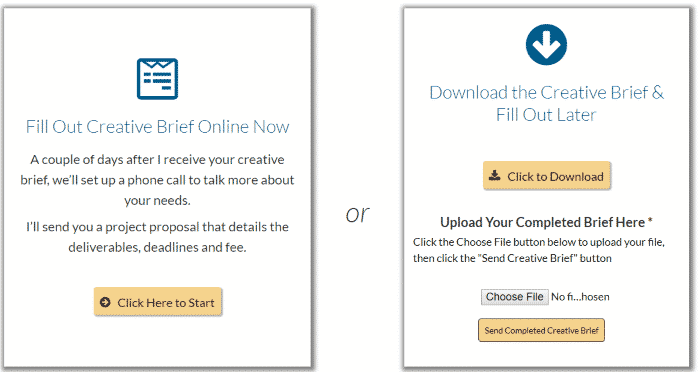 The site also features both an online option (in browser) and offline option (downloadable Word Document) to contact Elizabeth to get started working with her on your next piece of innovative healthcare content. When she initially came to us the only way to work with her was by downloading the Word Doc, and emailing it to Elizabeth. To help both her, and her prospective clients, we added the multi-step online form, so users can fill out the information immediately without having to download anything. It was an excellent time working with Elizabeth, and if you are her next client, you can expect quick responses, clear communication, organized information, and quality personalized service. You can find out more about Elizabeth and her service at https://elizabethhanes.com/.